Flying Cross Command Wear Long Sleeve Shirt- French Blue | 201307, FLYING CROSS, Flying Cross Command Wear Long Sleeve Shirt- French Blue | McDonald Uniforms, Inc. 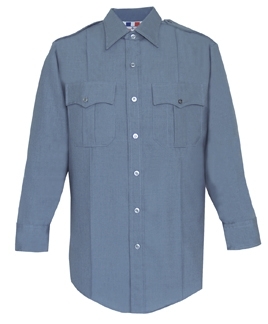 In high demand are the 65/35 Polyester/ Cotton Twill Command Wear shirts. Slightly heavier in weight, the fabric offers a pre-cured finish making it somewhat soft to the touch.